Why Is There An Elephant On Camden's Coat Of Arms? M@ Why Is There An Elephant On Camden's Coat Of Arms? This is the coat-of-arms for the London Borough of Camden. It was granted in 1965 when the local authority was formed from the old boroughs of Holborn, St Pancras and Hampstead. It's full of curious details, drawn from the history of the area. What can it all mean? And what's with the elephant? Camden: home of hedonism, counter culture and mind-altering substances. 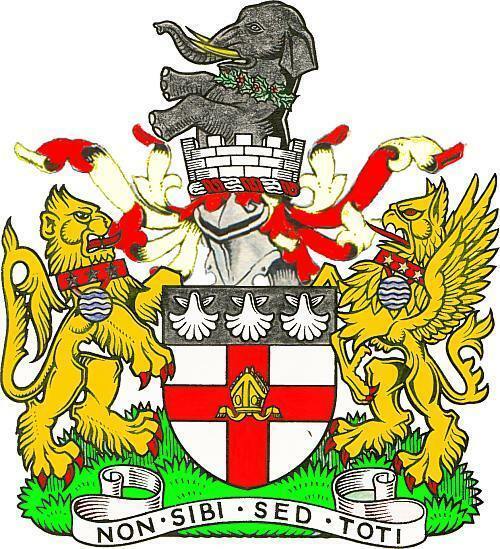 The borough's coat-of-arms captures it perfectly. Two fearsome beasts face off, their necks festooned with medallions and punk-ish dog collars. They're kept apart by a clutter of tat — shells, ribbons and strange headgear — much like a stall at the back of Stables Market. Up on the roof turret, a Christmas elephant (note the holly) stands on its hind legs, a vision that could only percolate from an LSD trip. Yup, this is Camden Town red in tooth and claw. Let's start in the middle. The shield of St George carries the mitre of Westminster Abbey, ancient boss of the manor of Hampstead (now part of the borough). The shells (scallops) are an emblem of the Russell family, also major land-owners. The yellow beasts are intruders from Lincoln's Inn (the lion) and Gray's Inn (the griffin). These two Inns of Court inhabit the southern-most marches of the borough. The collars are nothing to do with punk. The stars denote the three boroughs (Holborn, St Pancras and Hampstead) that merged in 1965. And the blue wavy medallions? These reflect the waters of Camden, such as the Regent's Canal, which is a prominent feature of Camden Town and King's Cross. Also the River Fleet, one of whose tributaries was the Hole Bourne. And so to the flummoxed elephant. This is borrowed from the arms of the Marquess of Camden, after whom the area is named, with the Holly a leftover from the old arms of Hampstead. The rearing trunkster emerges from a stone tower, which recalls the walls of the City of London at the borough's south-east border. 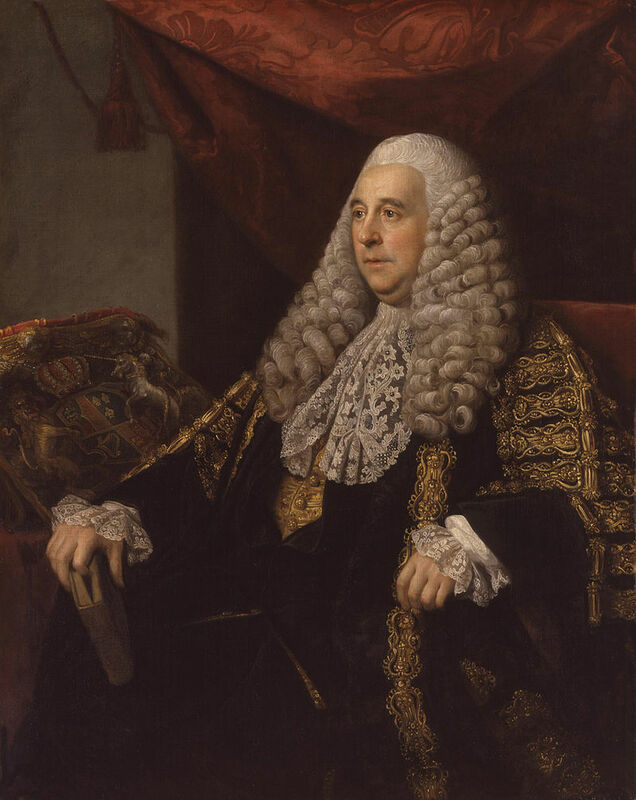 Why the Marquess should cherish elephants so highly has eluded our lazy research, but one look at this ridiculous wig and we're guessing it might have been a nickname. Finally, the motto. NON SIBI SED TOTI is taken from the old borough of Holborn. It translates as 'not for oneself, but for all'. A noble sentiment, completely undermined by the use of Latin.